In a moment of incoherence, Microsoft decided to break Windows Media center out of Windows 8 Pro and make it available as a separate upgrade package. Even if you don't connect your PC to a TV, it is still good to have because it includes the DVD playback CODECs (ie. you won't be able to play DVDs on a Windows 8 computer without it or another third party app). 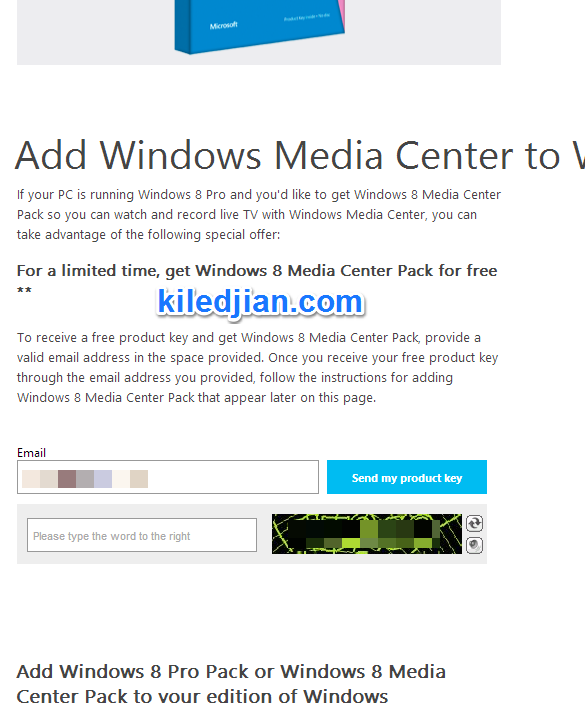 The upgrade will cost uses $9.99 but luckily Microsoft is offering it for free until January 2013. You have to visit this special promo page, provide your email address and they will email you a product upgrade key within 24 hours. Once you receive the key, seach your computer for "add features", tap "Add features to Windows 8" and enter the product key. You have to accept the terms and conditions, reboot your computer and Windows Media center will be enabled.